Can marijuana prevent memory decline? Can smoking marijuana prevent the memory loss associated with normal aging or Alzheimer’s disease? This is a question that I have been investigating for the past ten years. The concept of medical marijuana is not a new one. A Chinese pharmacy book, written about 2737 BCE, was probably the first to mention its use as a medicine for the treatment of gout, rheumatism, malaria, constipation, and (ironically) absent-mindedness. So what does marijuana do in the brain? It produces some excitatory behavioral changes, including euphoria, but it is not generally regarded as a stimulant. It can also produce some sedative effects but not to the extent of a barbiturate or alcohol. It produces mild analgesic effects (pain relief) as well, but this action is not related pharmacologically to the pain-relieving effects of opiates or aspirin. Finally, marijuana produces hallucinations at very high doses, but its structure does not resemble LSD or any other hallucinogen. Thus, marijuana’s effects on our body and brain are complex. Just how does it achieve these effects and are they beneficial? The chemicals contained within the marijuana plant cross the blood-brain barrier and bind to a receptor for the brain’s very own endogenous marijuana neurotransmitter system. If this were not true, then the marijuana plant would be popular only for its use in making rope, paper, and cloth. 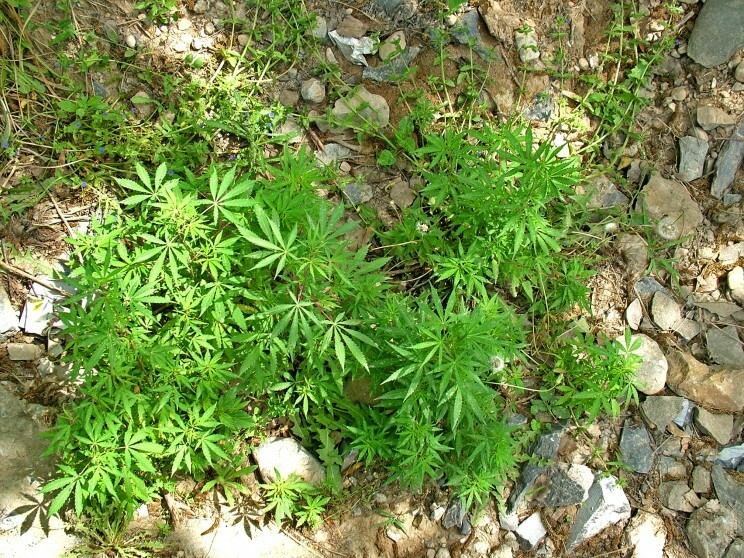 Marijuana growing Islamabad. Photo by Zantastik. 8 May 2005. CC-BY-2.0 via Wikimedia. The first endogenous marijuana compound found in the brain was called anandamide, from the Sanskrit word “ananda,” roughly meaning “internal bliss.” Anandamide interacts with specific receptor proteins to affect brain function. 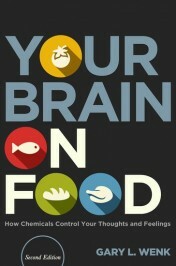 It is now thought that our brain contains an entire family of molecules that mimic the action of marijuana. Although we do not understand completely the role these molecules play in the brain, the great abundance of them and the wide distribution of their receptors gives an indication of importance of the endogenous system in the regulation of the brain’s normal functioning. Recent investigations have also shown that stimulating the brain’s marijuana receptors may offer protection from the consequences of stroke, chronic pain, migraines, psychic pain, and brain inflammation. Surprisingly, it may also protect against some aspects of age-associated memory loss. Ordinarily, we do not view marijuana as being good for our brain and certainly not for making memories. How could a drug that clearly impairs memory while people are under its sway protect their brains from the consequences of aging? The answer likely has everything to do with the way that young and old brains function and a series of age-related changes in brain chemistry. When we are young, stimulating the brain’s marijuana receptors interfere with making memories. However, later in life, the brain gradually displays increasing evidence of inflammation and a dramatic decline in the production of new neurons, called neurogenesis, that are important for making new memories. Research in my laboratory has demonstrated that stimulating the brain’s marijuana receptors may offer protection by reducing brain inflammation and by restoring neurogenesis. Thus, later in life, marijuana might actually help your brain, rather than harm it. It takes very little marijuana to produce benefits in the older brain. My lab coined the motto “a puff is enough” because it appears as though only a single puff each day is necessary to produce significant benefit. The challenge for pharmacologists in the future will be to isolate these beneficial effects of the marijuana plant from its psychoactive effects. Gary L. Wenk, Ph.D. is a Professor of Psychology & Neuroscience & Molecular Virology, Immunology and Medical Genetics at the Ohio State University and Medical Center, a Fellow by the American Association for the Advancement of Science for distinguished contributions in the field of neuropharmacology, neurodegenerative diseases and neuroinflammatory processes and the author of Your Brain on Food, Second Edition (Oxford University Press). A summary of these findings can also be viewed in my TED Talk. Neurogenesis can be initiated by cannabis. I firmly believe it. Thanks for sharing! Cannabis works well on the human body because of cannabinoid receptors we naturally have. Great post!